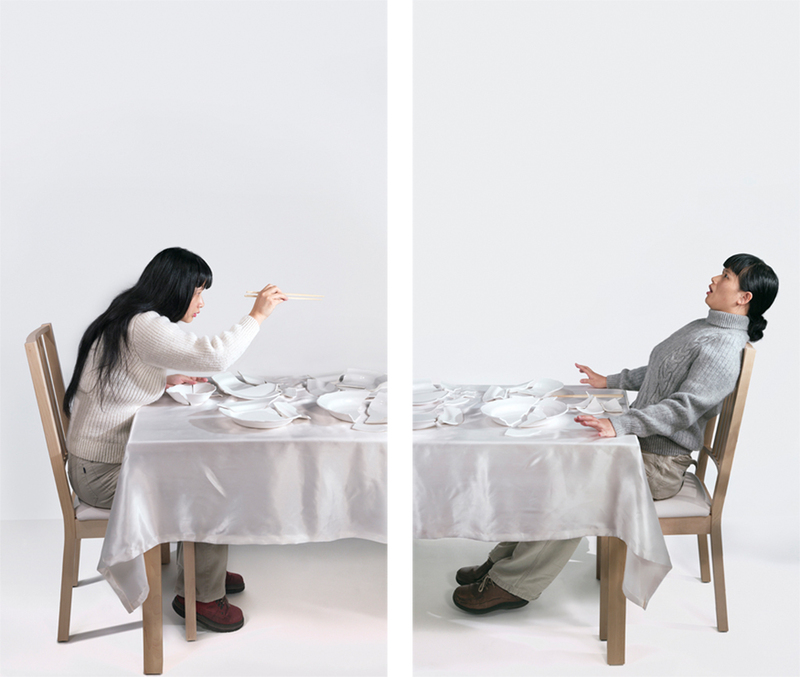 This work explores failure in marriage through reconfiguring personal memory in order to mend and translate emotions. The series of photographs is divided into diptychs acting as mirrors in which the absence of the other is reflected as a form of presence. They are evidence of constructed reality that blurs boundaries between private and public, between subject and object, and between art and life. They are deeply felt expressions of subjective realities explored through language, symbolism and gesture. This work transcends personal experience and reality. It is an embodiment of a melancholic longing for an unrecoverable past and a memento mori, a constant reminder of the inexorable passage of time. Chun Hua Catherine Dong is a Chinese-born performance artist living in Canada. She graduated from Emily Carr University Arts & Design in Vancouver and holds MFA from Concordia University in Montreal. She has been invited to perform in multiple international venues. Her current research focuses on using body gestures as a form of investigation and representation in ethnographic research to explore cultural phenomena in order to understand the social life of human beings. Visit our page – http://pondyphoto2014.com/ for the detailed schedule of Exhibitions, Educational Lectures, Workshops, Projections etc. at Pondy Photo 2014. Previous Previous post: First Glimpse… !! Next Next post: Quick Look..! !